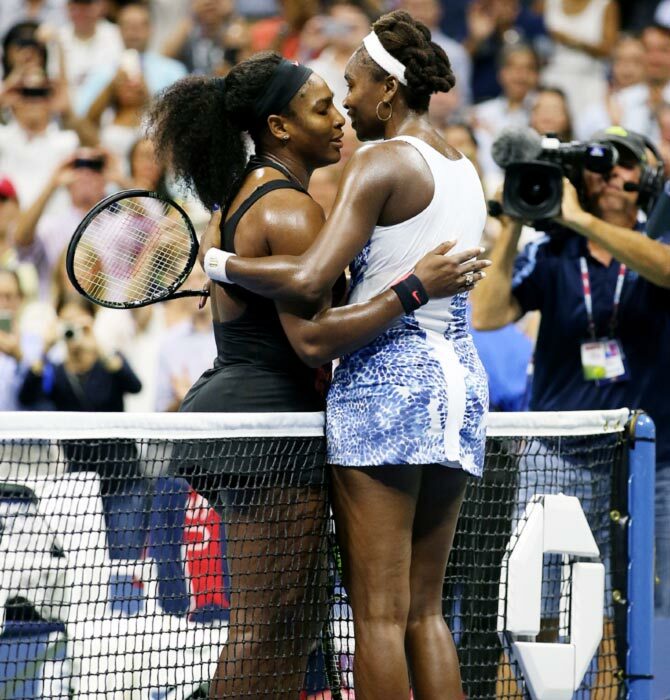 Serena and Venus Williams added another chapter to what the world number one claims to be greatest story in tennis when she outslugged her sister 6-2, 1-6, 6-3 on Tuesday to reach the semi-finals of the US Open. There are few that would disagree with Serena that the Williams sisters' rise from the hard scrabble streets of Compton to the top of the tennis world is both fascinating and inspiring. But it is a story still being written and what is unfolding at Flushing Meadows this fortnight could well provide a chapter all its own with plot centering around what was an enthralling 27th meeting between the siblings. "I think it's the greatest story in tennis because we really -- you know, with our how we started and how we grew up and how we were able to win championships and be, you know, such inspirations for so many women across the globe, I mean, it doesn't get better than that," said Serena. Certainly Serena seemed inspired on Tuesday as she and Venus played with the fire and passion that had been missing from many of their other 26 head-to-head meetings. But never before had so much been riding on the result. A win by 35-year-old Venus would move her a step closer to a first Grand Slam since 2008 Wimbledon but would scuttle Serena's chances of joining their sport's most exclusive club of calendar year Grand Slam winners which includes just three members Maureen Connolly, Margaret Court and Steffi Graf. Certainly there are no secrets between the sisters who knew exactly what to expect having played each other since they were first handed racquets and started playing on the cracked public courts of their Los Angeles neighborhood. However, Venus looked more like the player who has claimed seven Grand Slam singles titles in the second set before Serena seized control early in the third and rode the momentum to semi-final meeting with Roberta Vinci. 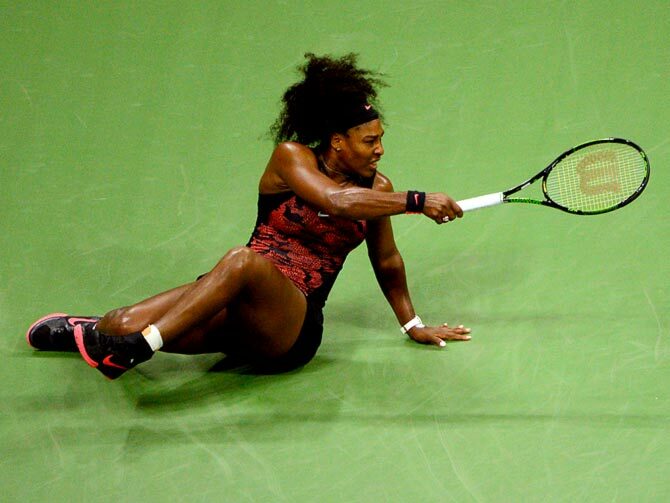 "There's nothing that I did different," shrugged Serena. "I just was out there to play a really tough opponent today. "Obviously we are very, very tough competitors on the court, but once the match is over and the second it's done, you know, we're sisters, we're roommates, and we're all that. "Down to the match point it just was not easy. "It's probably the toughest match I have played in a really, really, really long time where I wasn't actually beating myself. "I was out there facing an incredibly tough opponent."